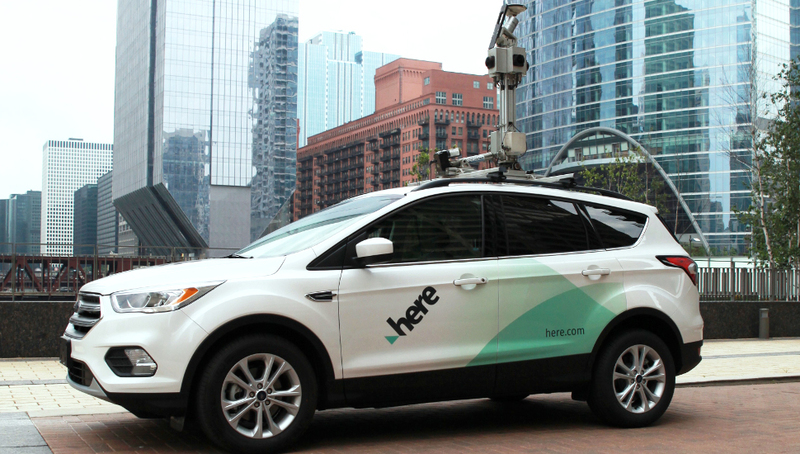 HERE Technologies specializes in mapping, and hopes to make that goal a reality to accurately map the world in preparation for an autonomous future. We spoke to Sanjay Sood, the company&apos;s vice president of highly automated driving, to find out how. Four or five years ago, Sood says, there was skepticism among automakers about whether HD maps (or any maps at all) would actually be necessary for autonomous cars, which some suggesting that the car&apos;s sensors might be enough, but there now seems to be a consensus that those alone aren&apos;t enough. "We&apos;ve been in the business of HD maps since 2013," explains Sood. "We pride ourselves as an organization for pretty much inventing the notion of an HD map in conjunction with automated driving systems." That work began with an automated driving demo for Daimler in 2013, which followed the Bertha Benz Memorial Route and marked the 125th anniversary of the world&apos;s first long distance road trip. "At that point we were providing map content for infotainment use cases, or navigation use cases for Daimler, and together we said, hey, look, there&apos;s probably a need for a higher definition map – something that&apos;s way more accurate than anything we&apos;ve ever created before – to assist the self-driving software to understand its location, its context, to be able to operate smoothly and safely," says Sood. "So we built a prototype for them, and then we realized very quickly that this is a pretty key ingredient in a self-driving car stack. And so for the last five or six years now, we&apos;ve been working on productionizing the technology. So taking it from a concept car to something that actually can scale and cover massive amounts of geography, because we think that&apos;s one of the one of the key components to successfully deploying the technology to be able to do global scale, or a continent scale." "Now the good thing about that approach is that it&apos;s scalable," Sood explains. "It doesn&apos;t cost as much as building these custom mapping equipment systems. The downside, however, is that the data is relatively inaccurate because it doesn&apos;t have lots of hardware to support the accuracy of the collection. Also, it’s just not available widespread today." "So we&apos;ve created this big base map out there that&apos;s highly accurate, and now you can take this low-fidelity data that comes from cell phones or production vehicles, and we pull it together among various car companies, and then we use that to help update the map," Sood says. "So we&apos;re creating one global map that many OEMs can benefit from because they&apos;re all providing data to a pool, that helps the industry as a whole maintain and create an asset that can be used for autonomous driving. "So I think our approach is very different than companies that are doing a pure ‘we&apos;re going to crowdsource this thing’, or other companies that are doing an industrial approach, but have no access to sensor data because they&apos;re not as closely aligned with the automotive industry." "And what that means for the OEM, then, is that if they want to purchase or license map content, they can essentially license one map protocol that works across China and the rest of the world, so they don&apos;t have to build a separate system for China and one for the rest of the world. They can build one and it works seamlessly." HERE has taken the same approach with South Korea, where limitations on taking mapping data overseas means all the processing is done in-country in partnership with the country&apos;s second-largest telecoms operator, SKT Telecom. In Japan, HERE works with Pioneer to avoid issues with the country&apos;s limitations on the number of players in the market. So which areas has HERE HD-mapped so far? Currently North America and Western Europe have the most coverage, since that&apos;s where most of the company&apos;s customers are based, but the Middle East and Southeast Asia are increasingly well documented too. Of course, all that global data is only useful if it&apos;s consistent, so HERE is also working on establishing standards so that automakers worldwide can use its maps – and contribute, too. "We&apos;re really about trying to open up and standardize so it&apos;s very easy for companies to operate in this data-centric world, and be able to exchange data between proprietary back-ends, and essentially be a global cloud like the IoT," says Sood. 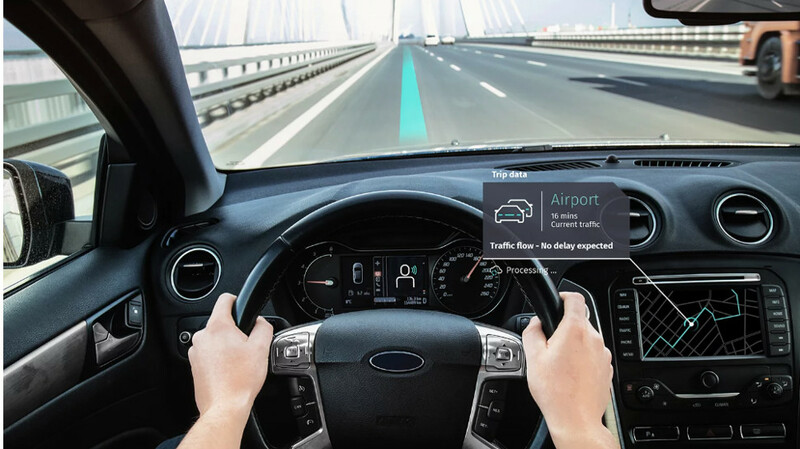 Trust is still one of the biggest limitations for self-driving cars, but with a dependable global mapping system that&apos;s constantly updated with even small changes, they&apos;ll be a big step closer to winning our confidence.